The 9th International Fisheries Observer and Monitoring Conference (IFOMC) is beeing held on June 11-15, in Vigo (Spain). The conference is the only one of its kind to specifically address issues relevant to observer programmes, beeing an important international forum for working and addressing issues on fisheries observer programmes, emerging monitoring technologies, and fishery dependent data collection. 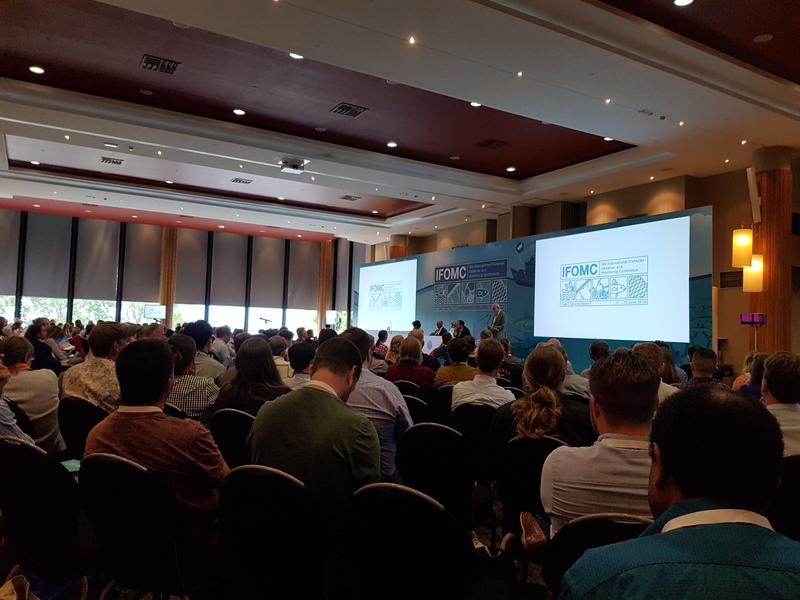 The conference brings together rpresentatives of observer programs from around the world, fishing industry groups, and end users of the data collected by these programs. On the 1-st day of the conference Important message regarding the coastal recreational fishing came from Francesca Arena, EU Directorate-General for Maritime Affairs and Fisheries, who informed about proposal given last week to the European Commission, to set obligatory minimum requirements as to fishing licenses and periods and protective dimensions for species of fish expoited by anglers for all EU member states. The CATCH project has been presented to the conference audience by the poster „CATCH –Sustainable Coastal Angling Tourism in the South Baltic Sea Region” (Session 1: Why monitor fisheries and what to monitor) informing about the project objectives and achievements so far, focusing on monitoring of fish populations exploited by anglers, as only angling based on knowledge about condition and size of populations of these species ensures sustainable use of fish stocks. The CATCH project promotes, develope and improve methods of sustainable coastal angling, to make it environmentally friendly and nature-oriented fishing based on knowledge about fish stocks condition. Promotional-informtion materials of the CATCH project were also distributet at the conference. For more information visit the conference webpage: www.ifomcvigo.com.